VisualNEST is MecSoft’s cost effective solution for optimally arranging and fitting geometric shapes onto sheets of stock material. It provides two primary nesting capabilities: Rectangular Nesting and True Shape Nesting. 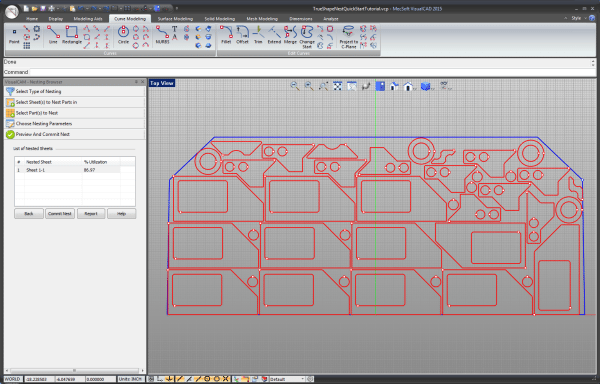 For both solutions, individual 2D & 3D CAD shapes can be arranged on sheets according to user-defined quantities, spacing, and with orientation control, including material grain restrictions. VisualNEST is included in all configurations of VisualMILL free of cost!